The women of the Waverley family are heirs to an unusual legacy, one that grows in a fenced plot behind their Queen Anne home on Pendland Street in Bascom, North Carolina. There, an apple tree bearing fruit of magical properties looms over a garden filled with herbs and edible flowers that possess the power to affect in curious ways anyone who eats them. I discovered Sarah Addison Allen in May 2011 when I read The Girl Who Chased the Moon. I fell in love with the magical quality of her writing, and I immediately wanted to read everything else she'd published. So, in June, I picked up Garden Spells. Then, I read The Sugar Queen and The Peach Keeper. 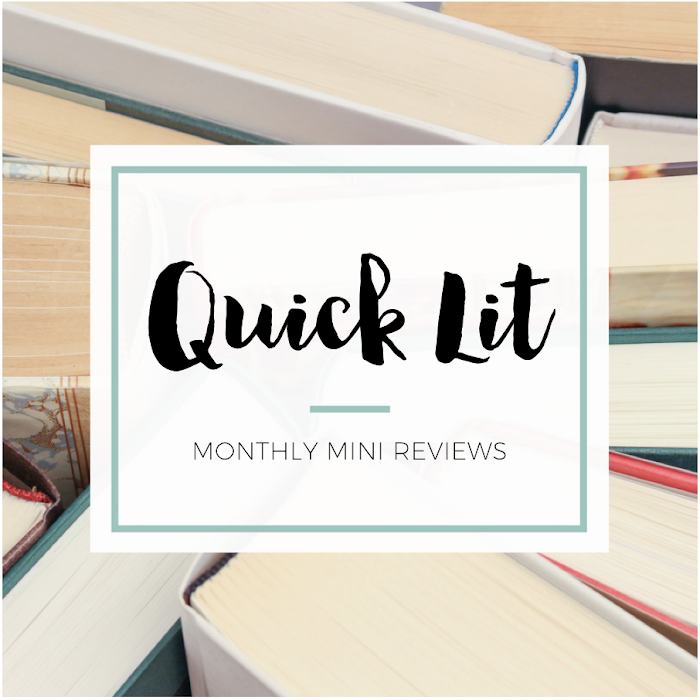 It was a Sarah Addison Allen binge - I'd discovered a new favorite author! She has yet to write a book that I haven't thoroughly enjoyed. Of all of Allen's books, I've always considered Garden Spells to be my least favorite. It's still an enjoyable read and I have no real complaint with it, but I remember that I wasn't as invested in it as much as I was her other stories. It is her debut novel, so I do know that I was impressed by the fact that she already showed so much talent and creativity. But as far as the plot, I only remembered that it involved sisters and some magical food. 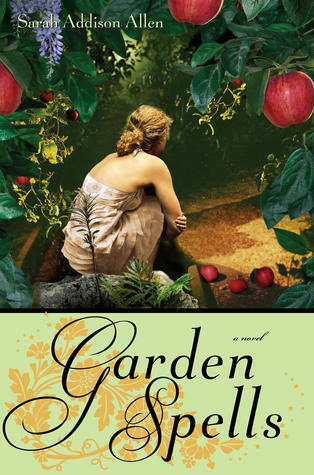 When I saw that Allen was releasing a sequel to Garden Spells, I knew that I had to re-read it before I read the new one. It had been so long since I read this one, and I felt like I needed to refresh my memory on the different characters. Although First Frost (the sequel) jumps forward in time, it seemed like the events and backstory in Garden Spells would be important. I wanted to make sure I was able to truly appreciate First Frost! As soon as I stepped back into this world, I remembered all the reasons I love this author. When I reviewed Lost Lake last year, I identified four things I loved about it that I felt were characteristic of Allen's work overall. And it's true for Garden Spells, too: enchanting story, lovely writing, charming setting and colorful characters. You'll find them all in this delightful book! I think my favorite aspect is the relationship between sisters Claire and Sydney. From the tension that keeps them apart to the magic that ties them together, family and finding your home are central to this story. I'm glad I re-read Garden Spells - it was like wrapping myself up in my favorite blanket and feeling warm all over. Allen has magic in her pen, and I realize it more and more with every book she writes. While I'd likely revisit her other books first, there's still room on my shelves for Garden Spells! No one writes quite like Allen, and I recommend her over and over again. 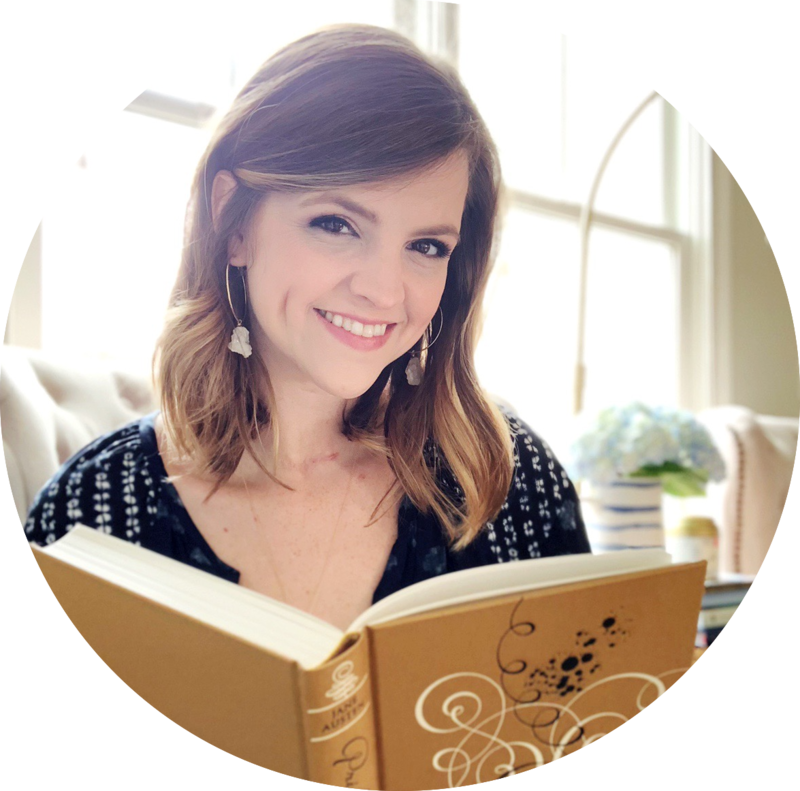 Her books, even when they have sad moments, are just so hopeful and uplifting. I'm always smiling when I close the last page and walk away determined to look for the magical in the every day. There's something to be said for a book that makes you feel so dang happy! Sydney’s daughter, Bay, has lost her heart to the boy she knows it belongs to… if only he could see it, too. But how can he, when he is so far outside her grasp that he appears to her as little more than a puff of smoke? When a mysterious stranger shows up and challenges the very heart of their family, each of them must make choices they have never confronted before. And through it all, the Waverley sisters must search for a way to hold their family together through their troublesome season of change, waiting for that extraordinary event that is First Frost. Once I finished Garden Spells, I immediately picked up First Frost. I was excited to prolong my stay in Bascom, North Carolina, and see what was happening with the Waverlys. To be honest, Garden Spells didn't really seem like it needed a sequel. I was actually surprised when I heard it was getting one! So, I was curious about what this new book would add to the story... and I was a little bit worried, too. There was a part of me that was a little sad to check in with this family and to see them struggling. I knew there had to be conflict for there to be a reason for the book, but there were moments I thought I might have preferred never knowing more about the Waverlys. Or, perhaps, I might have loved it more if Bay had been the sole focus of First Frost. There were times when I didn't feel like the threads of this story came together to create a cohesive story. The threatening stranger never really seemed like a threat, which meant the story lacked a lot of the tension it needed to drive the plot forward. I didn't understand his motives, and I was never really worried about the ultimate outcome. I still love Allen's writing and these characters she's created, but the story in First Frost just didn't hold up for me. I enjoyed reading it, but I walked away feeling like it didn't really serve much of a purpose. 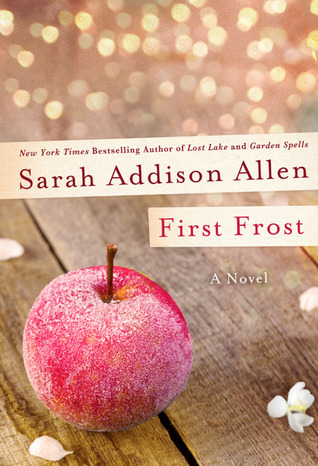 I have no doubt that Allen's fans will read First Frost, and I don't blame them. Heck, I'd still buy a copy of this one! But I'd be least likely to recommend this of all of her books. I was happy to be reading more from Allen - and still felt like the setting, characters and writing truly did stand out. It's just the story that felt so lackluster, and I hate that I didn't love it more. I didn't dislike it, of course, but I wasn't entranced by it and dying to see it through. It was sweet to see the characters again, but I didn't need to read this story. Do I recommend it? Honestly, if you like Allen, you'll want to read it. But I'm not sure you'll walk away thinking, "Oh, I'm so glad she decided to revisit the Waverlys!" Because truthfully, they were fine right where she left them last time. I had fun reading First Frost, but it was a little forgettable for me overall. I'm ready for something new! "They always got restless before first frost, giving away their hearts too easily, wanting things they couldn't have, getting distracted and clumsy and too easily influenced by the opinions of others. First frost meant letting go, so it was always a reason to celebrate. Everything was okay after that." My mom is a huge SAA fan and has been trying to get me to read her novels for years (especially with my recent love of Magical Realism)! She's one of those authors I can't believe I still haven't read - everything about her/her books practically screams my name. Sequels (especially when they really aren't called for or needed) can be iffy. Heck yeah it's great to revisit a world and characters you fell hard for, but what does it bring to the table? I'm currently going through that with an upcoming Kate Atkinson. Technically it's a 'companion' novel and you better believe I'll be reading it, but does it really need to happen? From your review, it definitely sounds like I should read Garden Spells as my introduction to Allen. I like starting with debuts when possible, because it's nice to be able to see how the author has grown as subsequent books get published. And it sounds like you enjoyed it more upon re-read, too, which is always a good thing. I'm kind of with you, though, about whether First Frost is a necessary sequel. I haven't read the books, but from what you state here, it doesn't sound like it's worth reading. Perhaps I'll just read Garden Spells and then move on to other Allen works that you mention here. I'm sorry First Frost wasn't as enjoyable as it could have been for you, but I appreciated reading your well articulated thoughts on these two! I still haven't read a Sarah Addison Allen novel! (Though you will be proud to know I own Lost Lake now. Would you recommending starting with that?) I do think her writing sounds magical, and I love the sound of her characters and her stories. Will definitely be checking out her stuff this year for sure!